PC madness... Celebrating Knights & the Crusades is now offensive! Train bosses at Greater Anglia teamed up with a local school to create “heritage banner” that is supposed to mark the town’s history and the school’s “400 years (1617-2017) of excellence”. The graphic is meant to “augment the heritage value” of the station and its local community. Two designs featuring a knight from the Crusades a large cross, steam train, a school logo, a TFL Underground sign and a stag on top have been proposed. Certain locals are outrage at the proposals however saying they are out of touch in the modern "multi-cultural" era. An example of some of the letters received were as follows- Sharon Jones said it was “culturally inappropriate to display images of crusaders and is not relevant to Hertford”. Christopher Taylor also wrote: "It's not just that the artwork isn't very good, the prime position of the knight is hardly the most welcoming to people from other cultures. I know it was nearly 1,000 years ago, but the image itself is not something we should be promoting." Adrian Bolton wrote to the council stating: "It's an abomination and would look horribly out of place." Ian Hawkins is the headmaster of the local school and her replied: "We were approached by Hertford County Council to become involved in this community project. 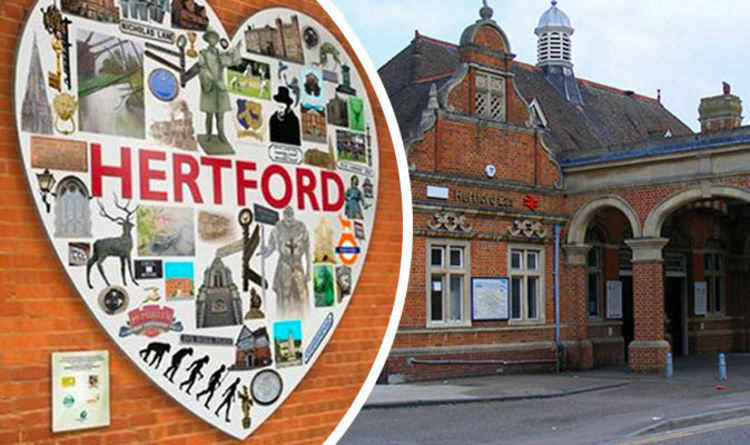 The project celebrates the links between the community of Hertford and the school over the past 400 years and the art was produced by students from the ages of 13 to 16 who worked independently on the individual elements to make the final piece. The school prides itself on being part of the local community and is very proud of its heritage and this was an ideal opportunity to promote these values to our pupils. We are very proud of the work produced by those students involved." Locals have said that it is celebrating the local culture and history and people should be proud of that and not afraid of offending others.